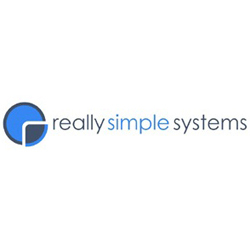 Really Simple Systems are a multi-award winning provider of simple CRM for small to medium businesses and today launch their integration with Sage One. The service aims to provide an easy-to-use cloud CRM system that provides simple sales, marketing and support in one package, providing a user with a 360 degree view of any of your customers. The company was founded by John Paterson who has a wealth of experience in this field and now boasts over 5,000 users with offices in the UK and Australia. They are rightly considered one of the market leaders in the cloud CRM space and have multiple Software Satisfaction Awards (among others) to prove it. The Sage One integration starts, as you’d expect, by allowing you to sync your contacts between the services. In addition, when a deal is won in Really Simple Systems, an invoice is automatically generated in Sage One Accounts. Most CRM/Accounts integrations I’ve seen over the years would stop there – these features alone would provide a greatly enhanced experience when using both services. However, Really Simple Systems have also applied their knowledge to enhance the salesperson’s ability to make more informed decisions, exposing Sage One data in places where it makes sense. For example, a salesperson in Really Simple Systems can view at a glance if the customer has a history of late or non-payments in Sage One – accounting data that simply wouldn’t have been available in a stand-alone CRM system. This is really taking the customer 360 degree view onto a different level and it’s touches like this that win you numerous Software Satisfaction Awards. The system is available in three editions, including a free version which, unlike many free variants, is a fully-functioning CRM system in its own right. If you need a simple CRM system to help manage your business, take a look now.